You are here: Home » MoneyTalk » Additional Topics » How do you calculate taxes as a contract worker? If you’ve worked for a business your whole life, but you’re considering striking out on your own and becoming an independent contractor, you may be wondering how your life will change. One major difference will be the way you calculate taxes. Contract workers not only have different tax responsibilities, they also have different deductions available to them. Before you calculate your taxes, you need to determine if you qualify as a contract worker. Note that the best way to determine the exact amount you owe is to contact a tax professional who specializes in something like independent contractors or small businesses. How do I know if I qualify as a contract worker? Behavioral Control: You need to direct and control your own work. Financial Control: You need to have direct control over business and financial aspects of your job, setting your own rates for example. Type of Relationship: The company that pays you mustn’t give you employee benefits or deduct taxes from what they pay you. Nor can your service be an essential, regular part of their business. If you meet these requirements, you may qualify as an independent contractor. Your income from self-employment will also need to be at least $400, after deductions, for you to be required to pay the self-employment tax. Once you’ve determined that you need to pay taxes as a contract worker, you’ll need to figure out your tax obligations. How do I calculate my taxes as an independent contractor? You’ll need to pay all the taxes you paid as a regular employee. In addition, you’ll need to pay the employer portion of the Social Security tax and the Medicare tax. As the name may suggest, the employer normally pays this tax. However, because you don’t technically have an employer, as an independent contractor, you are responsible for that portion of the tax. Your total obligations for Social Security is 12.4% of your income. This includes both your employer and your employee portion. Your Medicare obligation is 2.9%. As mentioned, normally your employer is responsible for half of the 15.3%, total, of these two taxes. Note that the “employer” portion of these taxes can be deducted as an expense. And you’ll need to calculate your income before you determine the actual dollar amount that you owe. How do I calculate my income for tax purposes as an independent contractor? 2nd phone line devoted to business calls. 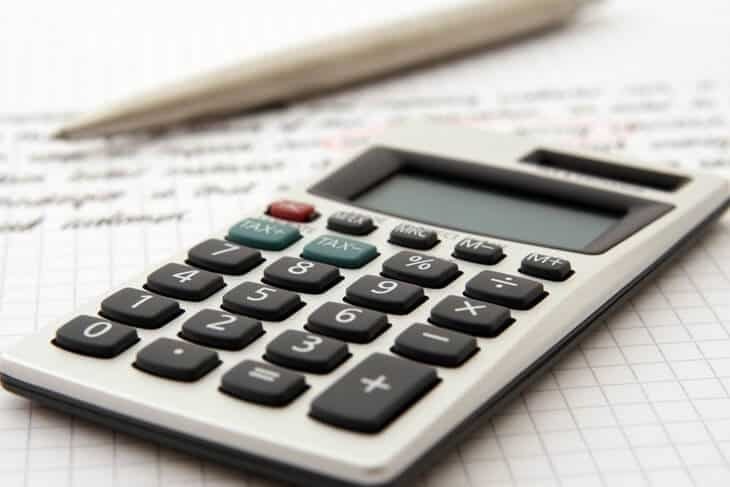 Once you’ve sorted the percentages of each business expense that is deductible and deducted it from your gross income, you’re left with your net income. You’ll use this to calculate how much you actually owe taxes on. Unfortunately, it’s more complicated than that. Deductions can fall into a number of different categories. Two of the major categories are above-the-line deductions and below-the-line deductions. Above-the-line deductions reduce your Adjusted Gross Income (AGI). Below-the-line deductions reduce your taxable income. Reducing your taxable income is less efficient than reducing you AGI. For example, when you reduce your taxable income by $,1000, it will only reduce it by $1,000. In contrast, reducing your AGI by $1,000 can potentially reduce your taxable income by more than $1,000. Reducing your AGI with above-the-line deductions can increase other tax benefits that get phased out at higher taxable incomes. And it gets even more complicated. Independent contractors normally pay taxes quarterly. This means that you’ll have to figure your taxes four times a year, rather than once. This is called paying Estimated Taxes. These payments cover your income tax and your self-employment tax. If you fail to pay a sufficient amount through withholdings (if you also have non-self-employment income) and estimated tax payments, the IRS may charge you a fee for failing to cover your entire tax liability. This, coupled with complicated tax laws, is one of the reasons many contract workers opt to have their taxes handled by a tax professional. They will be more familiar with the specific laws governing how taxes need to be paid. It removes the burden of determining the tax obligations from the independent contractor and allows them to focus on income-generating activities. Hopefully now you know a little more about paying taxes as an independent contractor. There’s a lot of great resources online that can help you determine exactly what the different types of deductibles are. Then you can always take advantage of a tax professional’s in-depth knowledge to help make sure you are not only paying the correct amount of taxes, but also maximizing your deductions.